You can listen to my interview with Matt Galloway here and watch my interview here! 1) Wear all the clothes. All of them. And then more. Double your socks. Pull out the long johns AND the leg warmers. Grab your fuzziest toque. Don’t forget mittens. Wear snow pants! 2) Picnic blanket. I made one with fabric on top and waterproof vinyl on the bottom – keeps bums free from grass-damp in the summer and snow-cold in the winter. But any ol’ blanket will do. To extend the length of your picnic, may I recommend slipping a camping mattress, like a Thermarest between the snow and your picnic blanket. That tiny pocket of air will afford you HEAPS of picnicking time. 3) Hot beverages. Load up that thermos with whatever you’ve got. Hot chocolate, coffee, (Baileys optional! ), mulled apple cider (rum/bourbon optional! 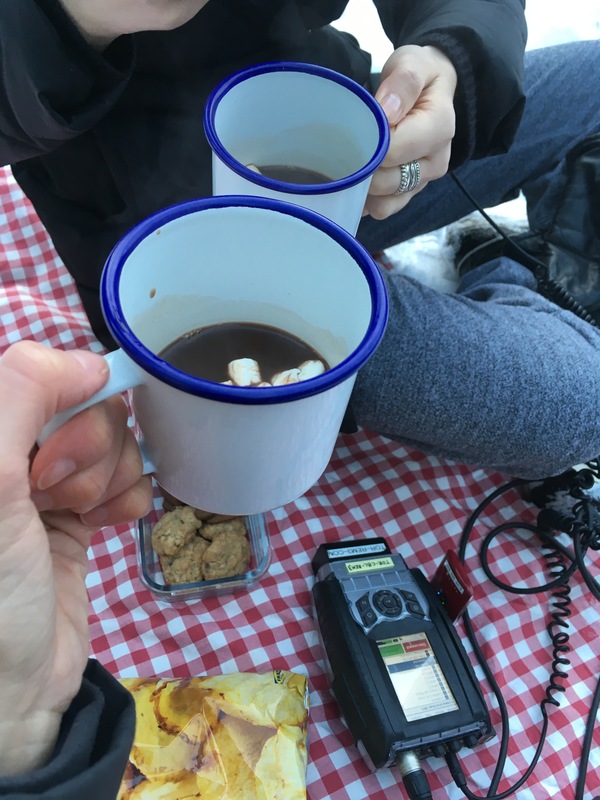 ), mulled wine (wine not optional) If you go the hot chocolate/mocha route, don’t forget the marshmallows. 4). Food. Anything you can eat without taking off your mitts, and food that doesn’t need to be warm is optimal. Gingerbread cookies, sandwiches, skewers with pickles/olives/cheese. And chips. When I was in Saskatchewan doing a residency one winter, I learned the great joy that are SUPER cold chips. So good! 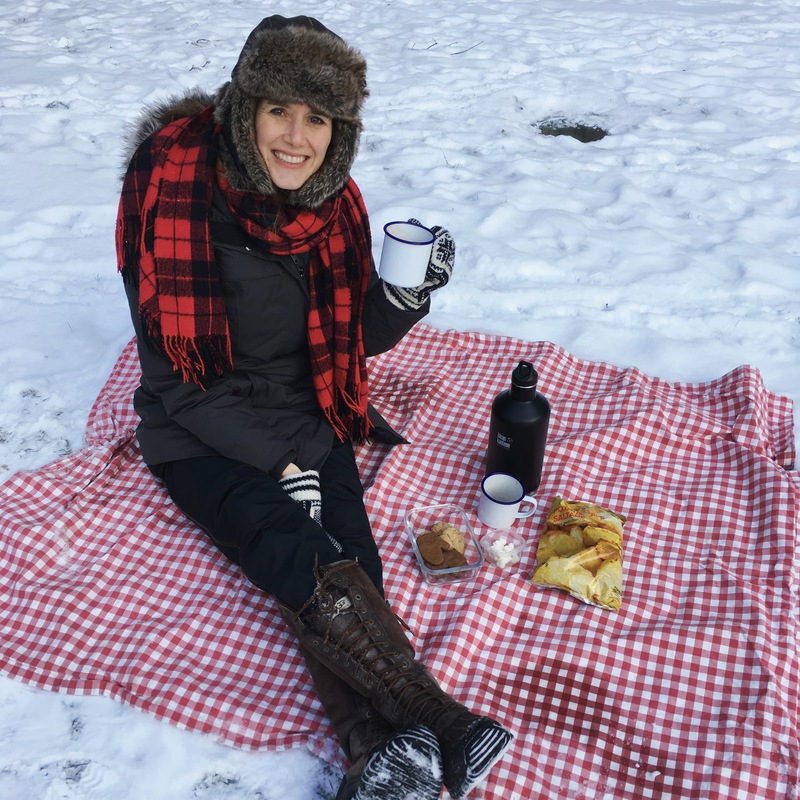 And if you do venture forth, send me pics of your winter picnic! loveletteringproject at gmail.com!